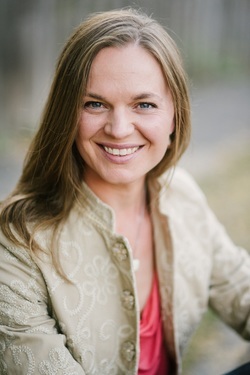 Alissa Cordner is an Assistant Professor of Sociology at Whitman College, where she teaches Sociology and Environmental Studies courses. Her research interests include environmental sociology, environmental health and justice, risk and disasters, science and knowledge, social movements, and policy and participation. She received her Ph.D. in sociology from Brown University. Her 2016 book Toxic Safety: Flame Retardants, Scientific Controversies, and Environmental Health (Columbia University Press) examines the sociological aspects of risk assessment in industry, regulation, research, and activism. It received the 2018 Schnaiberg Award from the Environmental Sociology section of the American Sociological Association, recognizing a book that makes an outstanding contribution to the discipline. Her work has been published in leading sociology, environmental studies, and science and technology studies journals, including the American Journal of Sociology, Environmental Sociology, Science, Technology & Human Values, the Journal of Environmental Studies and Sciences, Social Science & Medicine​, Environmental Science & Technology, Social Studies of Science, and Sociological Forum. Dr. Cordner has conducted extensive research on the regulation, research, and activism related to industrial chemicals, and is currently studying the sociological aspects of wildfire risk management in the Northwest.